You have deployed Windows Deployment Services (WDS) and the Microsoft Deployment Toolkit (MDT) to a new Virtual Machine on your Corporate subnet. 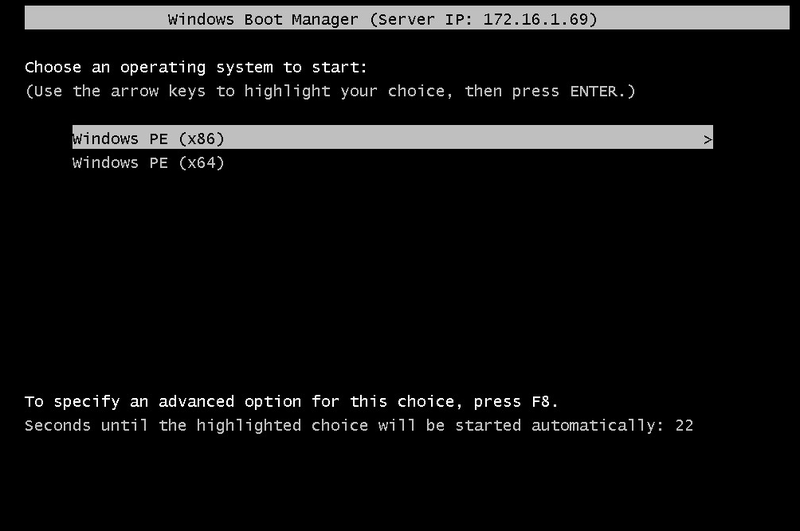 You have configured WDS to use the MDT Boot Images to allow for PXE Booting over the Network. When you try and PXE Boot from a client it timesout and fails with PXE-E55: ProxyDHCP Service did not reply to request on port 4011. I did some investigation around the WDS installation and the Boot Images although it seemed to keep coming back to the DHCP configuration in place. I checked the DHCP Options for the Subnet in which I was working to ensure Option 66 Boot Server Host Name and Option 67 Bootfile Name were configured correctly. Everthing was as expected Option 66 was pointing to the IPv4 Address of the new MDT/WDS Server and 67 was pointing to \Boot\x64\wdsbdp.com (resides in RemoteInstall on the local disk). again as expected. After some further research it turns out the Option 60 Class ID can cause issues when PXE Booting. In this instance it was a production environment with some stale configurations. Option 60 was configured with the string "PXEClient". 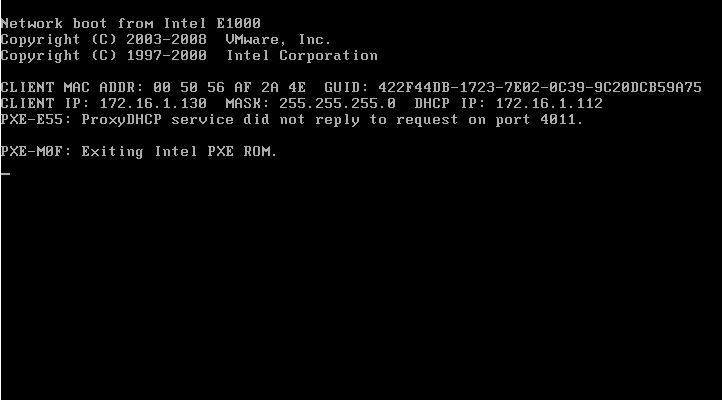 This apparently is telling the DHCP Clients that the target of Option 66 is a PXE Client and not a PXE Server. I edited Option 60 and cleared the field and restarted the DHCP Server. I also restarted WDS and then attemtped to PXE Boot again, it started to work. The gotcha here is that when I tried to remove Option 60 ClassID completely from the Scope Options I did not correct the issue. Therefore Option 60 had to be present with no string in the field.